As always, you can check out each of the projects by visiting each of the blogs listed above. I love this ornament! It's based on an ornament that my in-laws used to hang on their tree. I've always wanted to recreate it, and I don't know why I waited so long... it's so simple to put together. 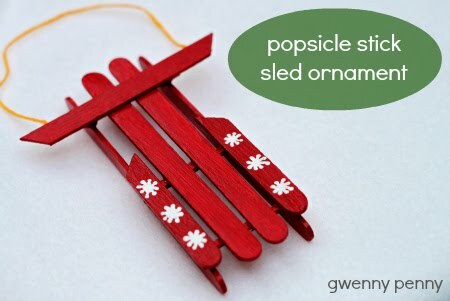 Click HERE for my Popsicle Stick Sled Ornament tutorial. I want to let everyone know that I've decided that this will be my last month of Point of View. I've been a part of this group since it began back in March of 2011, and it has been such an honor to team up with these ladies every month. Thank you Amy, Jonie, Leanne, and Ashlee for everything. Now it's your turn. Do you have an ornament that you would like to share? 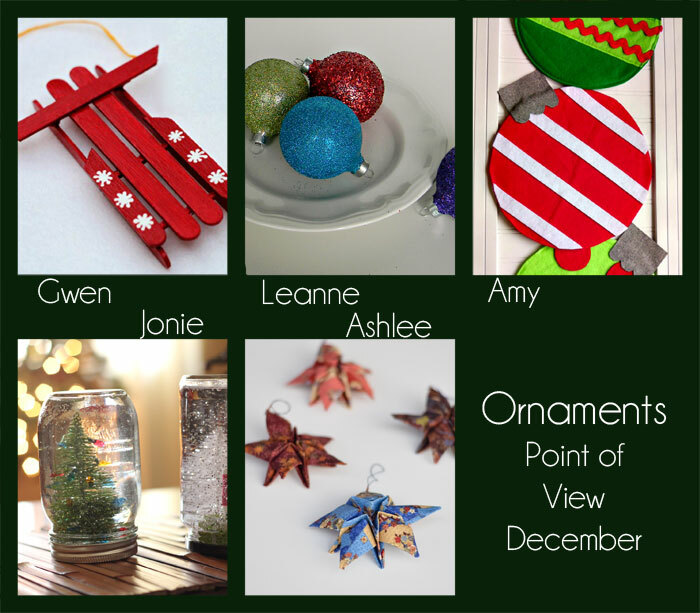 We would like to invite you to join the Point of View "Ornament" Link Party! It doesn't have to be a new project... If you have a project in your archives, link it up! We want to see what you've created. You can link up to the Point of View link party on any member's blog and your link will show up in the party on all five blogs! Add the Point of View button to your post so that others can join the party. And remember, by linking up you have the chance to be featured by one of the members of Point of View next week! We hung the Popsicle sleds on our tree when I was a child too. They were always my favorite! Thanks for the party--Happy Holidays! Happy January Friend! I came by to see what you have been up to this past month. I just love that sled ornament. I am pinning it for next year. I hope you had a wonderful Holiday season with your cute girls!